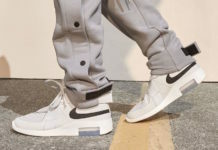 Nike and Jerry Lorenzo have officially revealed their upcoming Nike Air Fear of God Collection that consists of two colorways of the Nike Air Fear of God 1 and apparel inspired by sport. 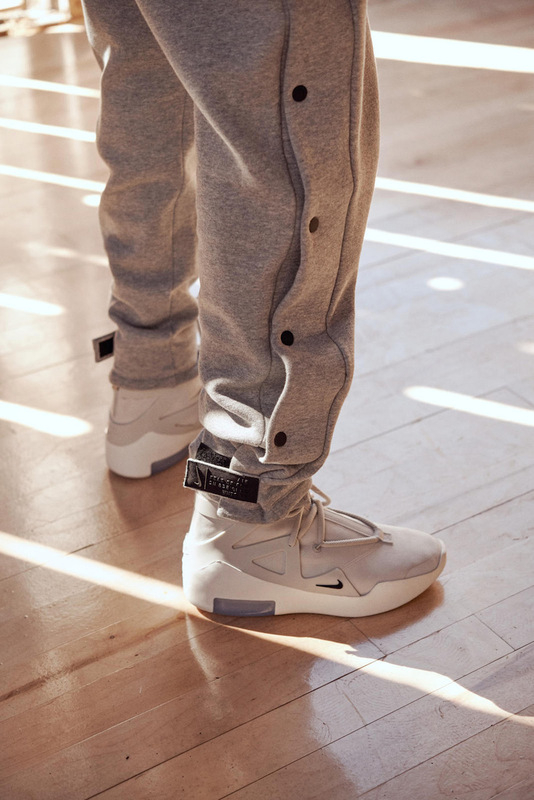 Originally debuted as part of Fear Of God’s Sixth Collection, the Air Fear Of God 1 is built to be basketball-ready influenced by the early 1990s. Jerry teamed up with Nike design director Leo Change that’s highlighted with its double-height Zoom Air heel unit that resembles the Air Max 180. The upper features an exterior TPU heel and cage inspired by the Air Huarache Light for lockdown, while the overall shoe is based off Jerry’s own foot scans. Look for the Nike Air Fear of God 1 to release on Saturday, December 15th at select retailers, fearofgod.com and Nike.com. The retail price tag is set at $350 USD. An off-court version, the Air Fear of God SA (Shoot Around) will retail for $300 USD.